Hey all! It is time for another Artisan Design Team Blog Hop, and we are moving right a long with our December boxes and Christmas projects. Today, I want to share with you a simple modern holiday home decor project that would make a great gift. I love all of the white space on these frames. It creates for a really clean and modern look, especially when paired with the simple triangle trees. It is important to have a variety of sizes to create visual interest on the mantle or shelf. The frames literally just take minutes to make! I cut out my images with a variety of Framelit Dies and my Big Shot. 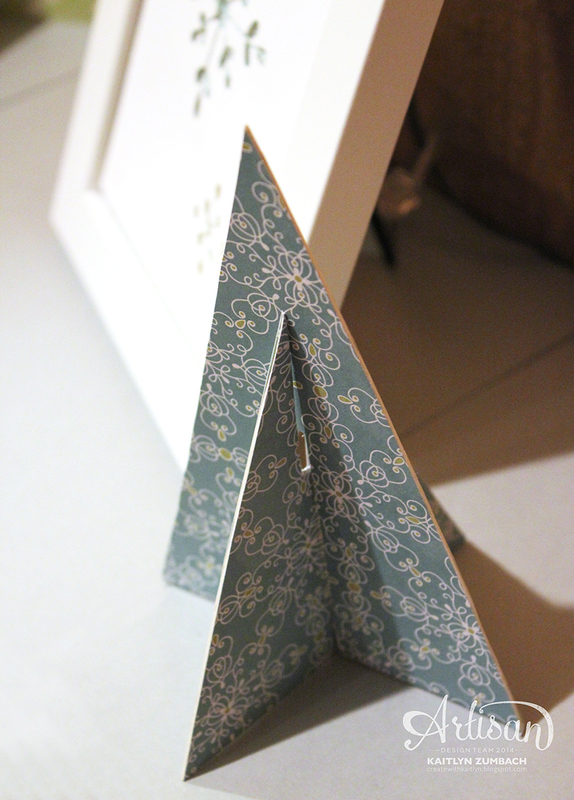 Then I layered some All Is Calm Washi Tape on a piece of card stock that would fit behind the image. I layered them on Silver Foil Sheets for a little bit of shine. 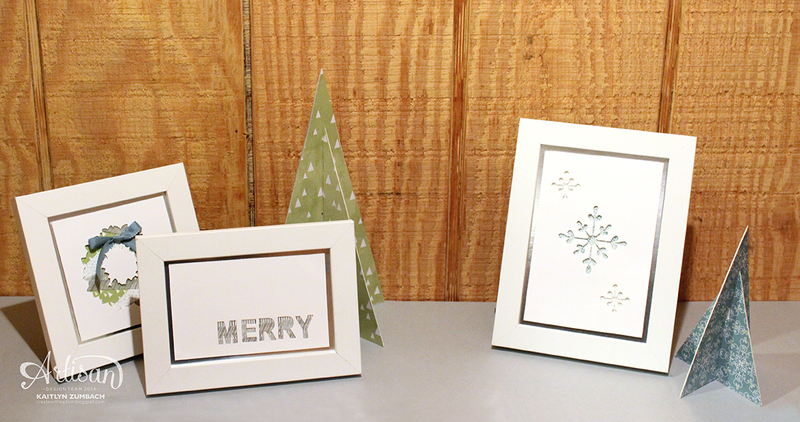 The trees were made with two triangles cut out of Coaster Board covered in All Is Calm Designer Series Paper. Just cut a notch in the bottom of one and the top of the other to put them together. Super easy and oh so cute! Don't forget to hit the next button below to see the amazing projects everyone else has created! Love the trees! Might try that today!! I love the trees! Need to make a few! 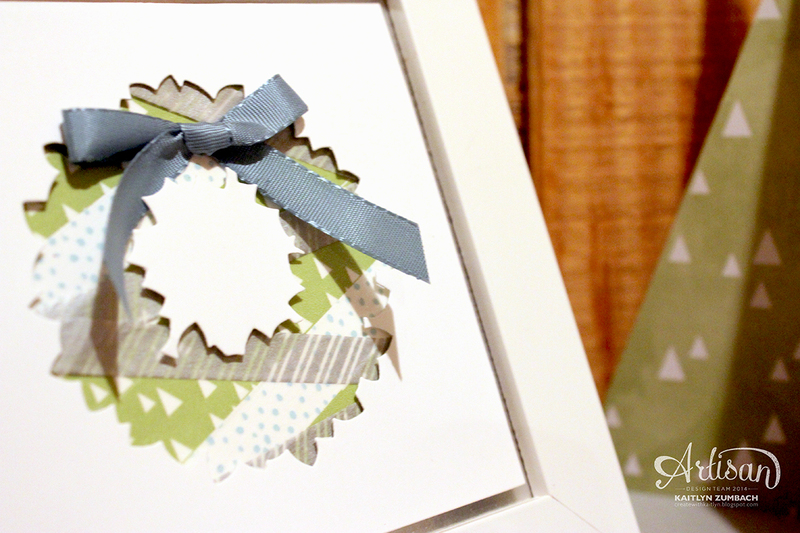 Love the washi tape wreath too!